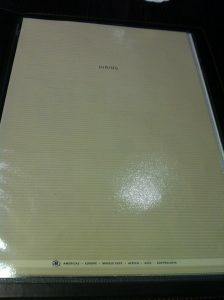 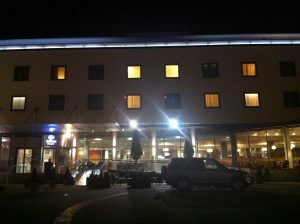 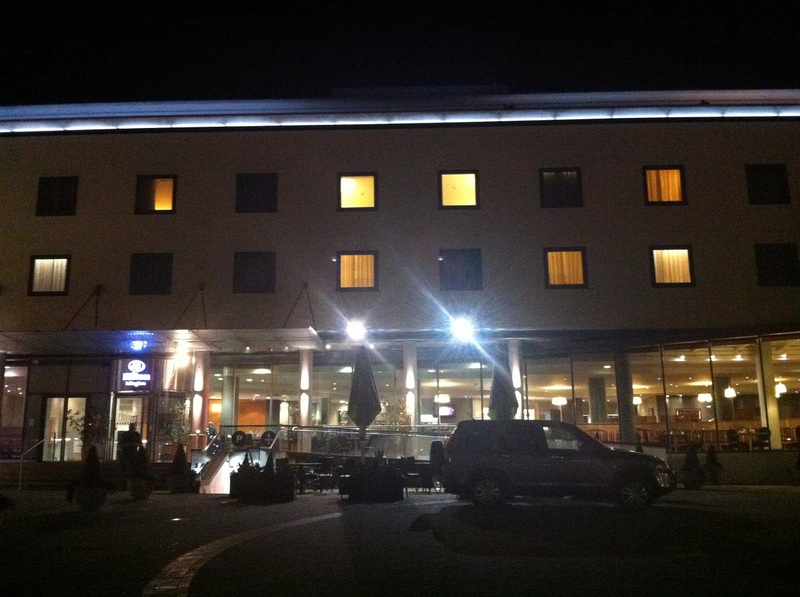 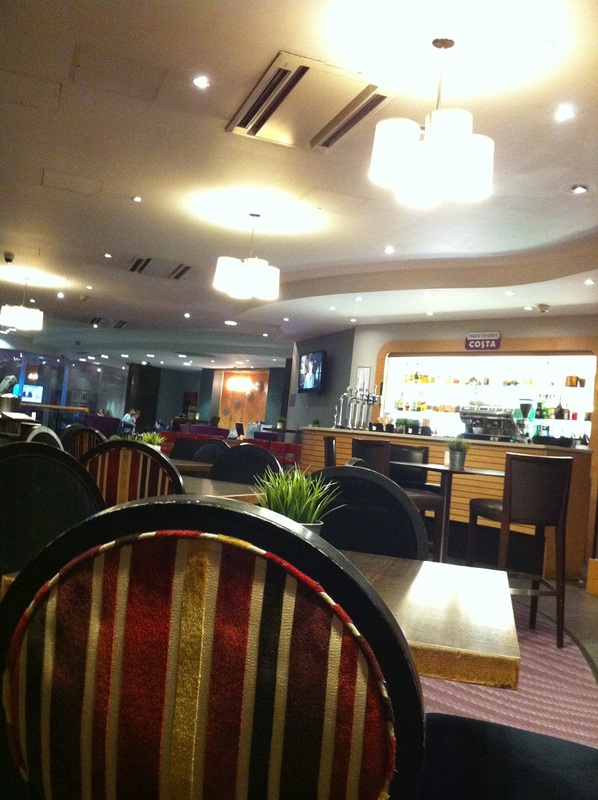 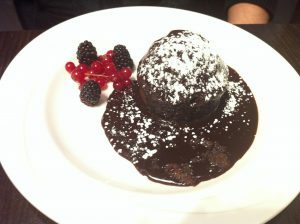 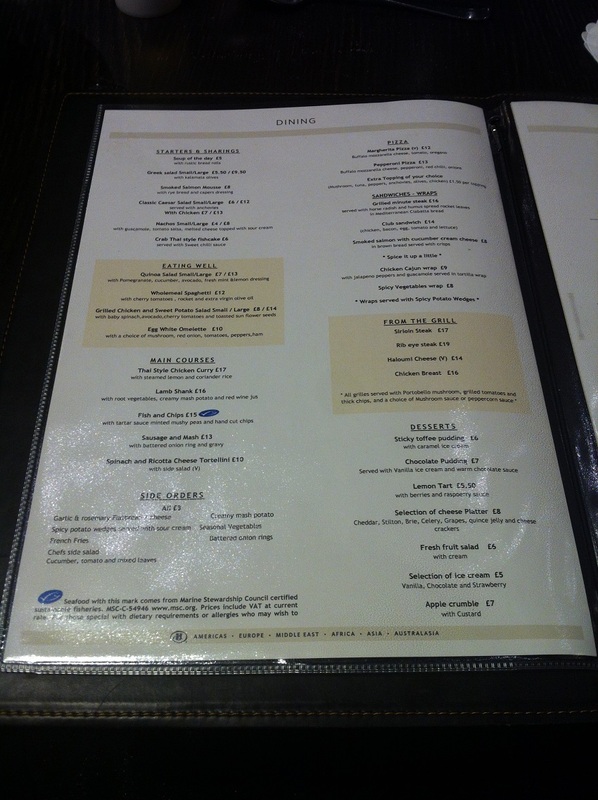 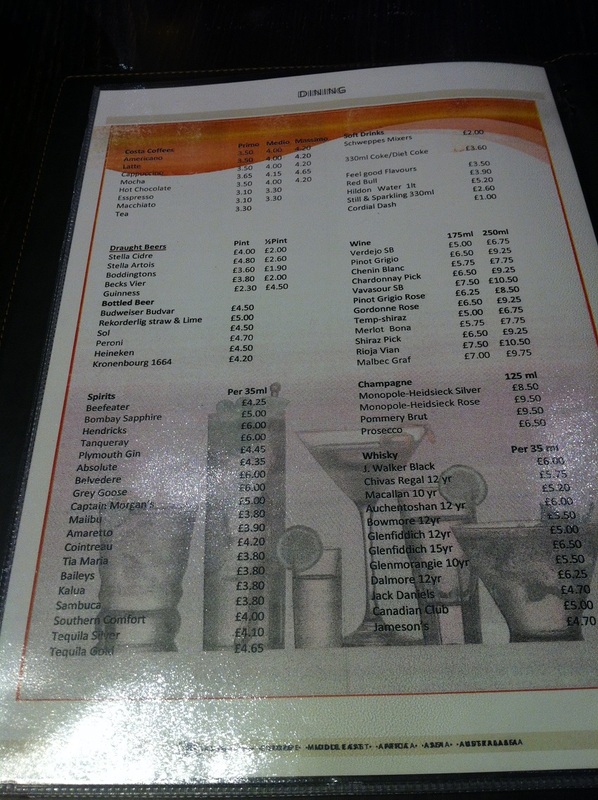 I would like to share my dining experience at Axis Restaurant at the Hilton in Islington. 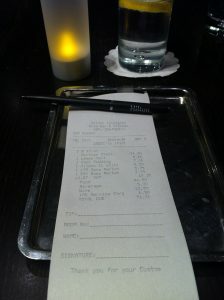 I have decided to take my husband for a festive dinner in December. 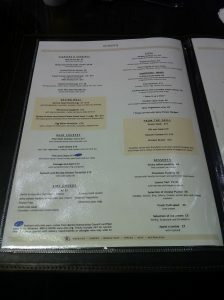 After searching for a good restaurant with good value and great quality, I have chosen Axis Restaurant in Hilton Islington. Interestingly there were not many people dining there. 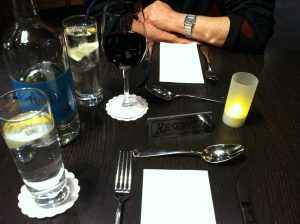 Therefore I would recommend this place if you want a quiet and relaxing dinner. 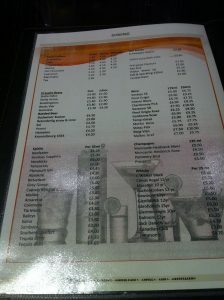 If you look at their prices, it is very reasonable for Hilton quality! We decided to have two courses meal: main and dessert. We both choose Sirloin steak as our main. 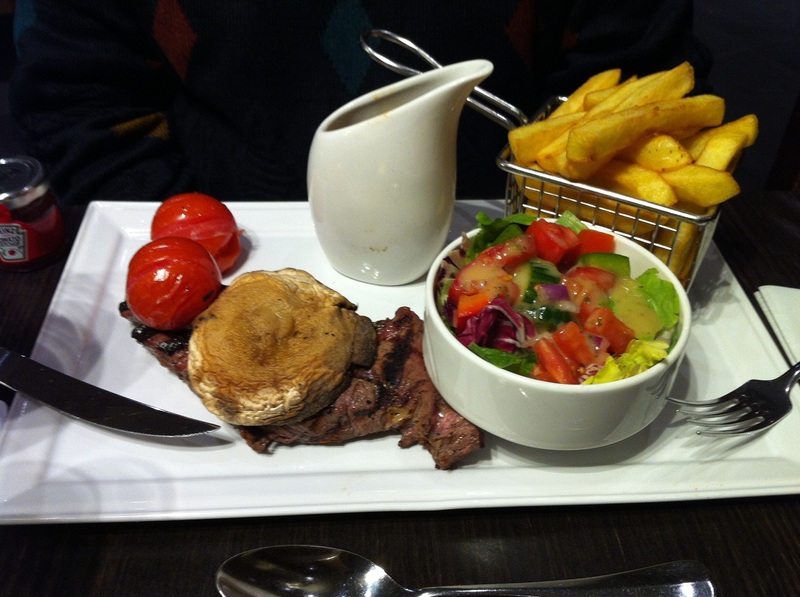 It tastes good and you really get a good value of money for a steak! It is served complete with salad and chips. 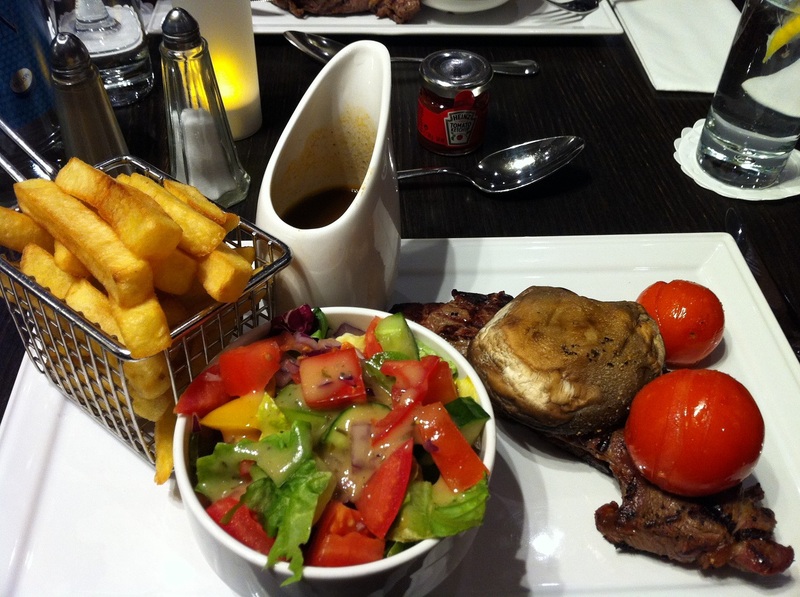 Just one suggestion that they should serve it with a sharp knife, as I feel that their knife is too soft to cut the steak. 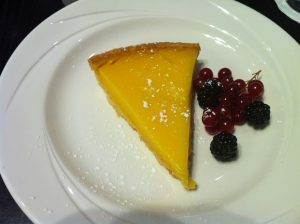 As for dessert, my husband had a chocolate pudding and I had a lemon tart. 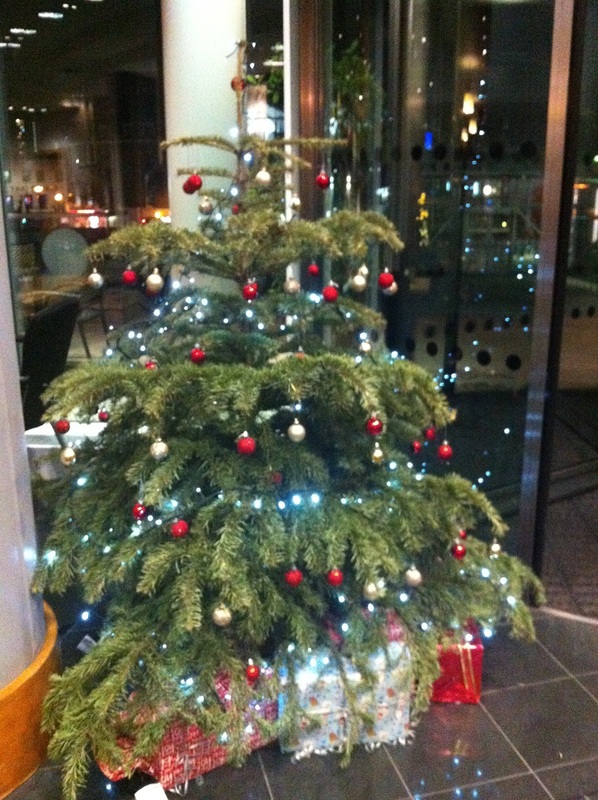 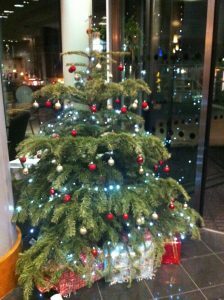 As it was during festive season, there was of course a Christmas tree!